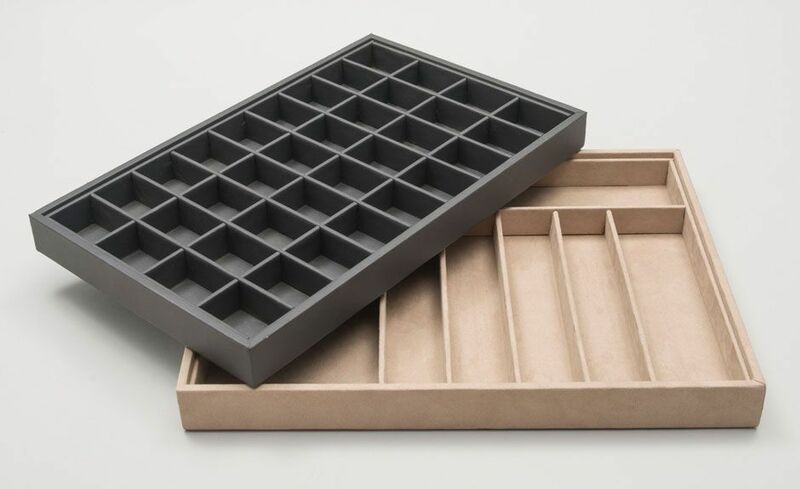 For custom closets, safes, dressers, or to spruce up a showcase or showroom, our compartment trays are an essential item. Custom made to fit your dimensions and needs our trays are lined with your choice of fabric to create a functional piece to fit all of your precious items. We can add as many compartments as need be, dividers, or ring rolls ensuring all of your precious items are held fashionably in place. Prices vary based on size, fabric, and intricacy of the design. We are able to match a design you have in mind or create a tray to fit your desired needs. Add customized compartment trays to any sized safe. With a multitude of fabric, color, and design options, will be able to find the right combination for all your valuables. Organize your closet and dress up the whole space with our customized trays designed to hold all of your valuables. 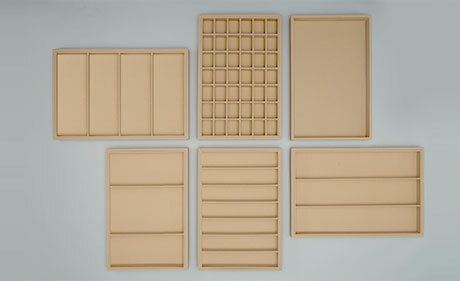 We manufacture our trays to fit any space and can be any height to securely and fashionably fit in your closet. Customized trays to fit within the frame of your furniture. 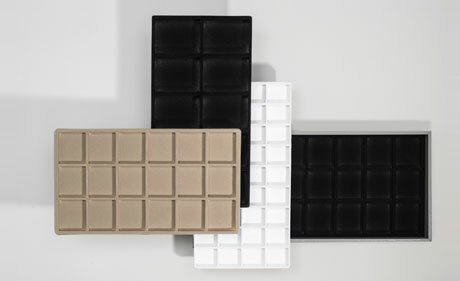 Using those dimensions we offer useful and visually appealing trays to hold a diverse array of items.